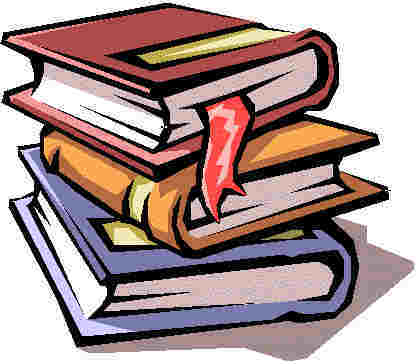 Book giveaways will be listed in the next newsletter issued the week of April 25th. Book giveaway winners will be listed in the newsletter issued the week of April 25th. Merger, Sanjay Sanghoee’s fast-paced corporate thriller, has just been released on Kindle and reissued in paperback. Tightly plotted and executed with precision, the book reveals the realities of multi-billion dollar deal-making and ruthless plays for money and power that have defined the corporate world since the 1980s. Coming on the heels of the worst financial crisis in American history, Merger is a wake-up call for readers everywhere. Critics like Susan Shwartz, author of Hostile Takeover, are raving about the book. Walter Wager, author of Die Hard 2, calls it “Wall Street meets The Firm." As Merger races to its climax and the clock winds down to Suri's deadly triumph, no one suspects his hidden agenda...except for Tom Carter, an investment banker working on the deal. Torn between his job and his conscience, and locked in the crosshairs of the SEC, Carter enlists the help of Amanda Fleming, a beautiful and intrepid New York Times reporter eager to "break" a big story. Together they must not only outsmart the brilliant Vikram Suri and stay alive, but prevent a shocking betrayal of the US financial system. Merger is an exciting novel that keeps the reader engrossed with every twist and turn. Expect even more thrills in Sanghoee’s upcoming novel, Portait of Malice, which combines history and current events to examine the emotional, political and financial realities of war reparations, justice and terrorism. Sanghoee speaks more about financial greed and corporate crime on his blog at www.sanghoee.com as well as on his weekly radio address, which is broadcast in both English and Spanish on five stations. Rose Watson is an orphaned young woman with a painful past who is simply looking for a new job. In the new job she finds something more…a surrogate family. In this family there lurks a danger that no one could have foreseen –an ex-wife who desperate to take revenge on her former husband, Rose’s current boss and new love. Maureen’s attempt to kidnap her son for a 2 million dollar random is foiled and she must take advantage of her next mark, Rose. Desperation drive both Maureen and Gerald, her partner, because they must get enough money to leave the country before their former mob associates find them and make them pay for their individual transgressions against the organization. The race of time begins when the mobsters find Maureen’s hiding place and find Rose instead. Maureen is desperate to not only pay off her gambling debts but seek revenge on her ex-husband and she will kill anyone who gets in her way, even her own family. Rose must fight to get back to her new life before the mob finds Maureen. Rose must use her wits and trust in her newly found family in order to escape her captors and survive. An intelligent and engaging exploration into the concept of heaven, and how the afterlife impacts day to day living in the here and now, this book suggests ways to align your “heartprint” with heaven’s values now, enabling you to get more value and enjoyment out of both your life and your afterlife. To align our hearts with heaven we need the right images of heaven. What does it look like? What will we do when we are there? With a fresh approach that dispels our cultural myths and renovates our images of heaven, Rehearsing for Heaven nourishes our imagination about heaven’s potential. Sharper images of heaven give us better focus in this life. Written in the format of a stage play, Rehearsing for Heaven describes both heaven and earth from heaven’s point of view, appealing for reconsideration of tradition views of heaven. It’s not just the “what” of heaven that concerns the author, but also the “who” and the “why” which he approaches with a fresh perspective. Heaven’s Producer is about to unveil his greatest production and life on earth is only the rehearsal. Everything in our universe aims at heaven, where all created things find their final fulfillment. I open my eyes! WHAT WOULD YOU DO? What did I do? I chose to flip them both off and do my own thing! I decided the better choice was to rid mankind of any and all supernatural influence. From the first time I met Lucifer and an Archangel, right on down to killing a fledgling vampire I knew what I wanted to do. I knew what my destiny was. I was good at killing, in fact I was bred to kill! The problem no one that had a hand in my creation expected, was me to decide to hunt them! My name is Kaine and this is my life!